Nokia has received some success with Lumia series and there are some reports of rising sales in US and European markets. Nokia is following the same design and marketing strategy for their new range of Asha Phones. 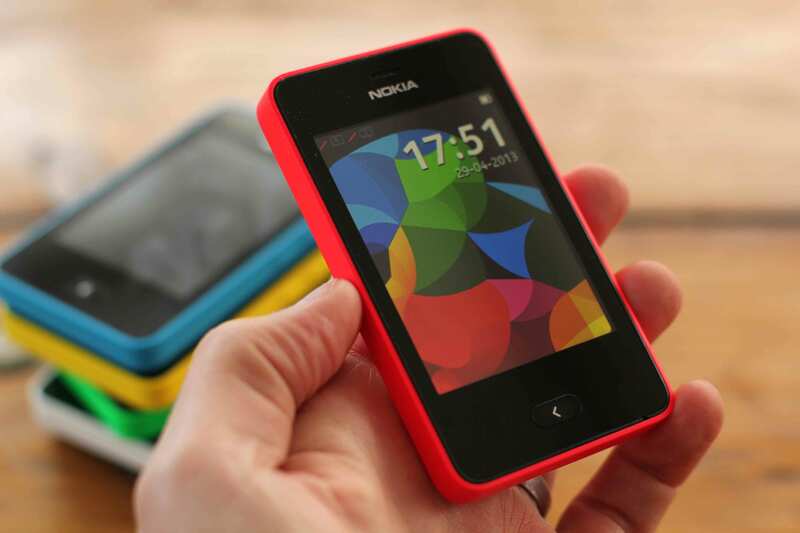 Recently, Nokia unveiled their new Asha 501 device which features a lot of new things and will be competing with other Android and Dual Sim Phones available in the market. I will be telling you about the Asha 501 with details and will compare it to the other preferred Dual Sim Phone options like Samsung Rex 90 and Galaxy Y Duos. Nokia has followed the Lumia Design with some new colors, The front look features a clear hardened glass candy bar design with rounded corners. The back panel is removable and features a Lumia like strip near the camera. It has a single color smooth texture. 3 inch QVGA capacitive touchscreen 240X320 ~133 ppi which is a pretty fine display for budget range phone. The screen is protected by a Nokia Custom build hardened Glass. 3.15 MP camera with QVGA recording. A decent camera for outdoor Shooting, there is no flash so I doubt that it will work fine in low light. Latest Nokia Asha firmware with the new User Interface that features a Fastlane. It tracks your Phone use and app use. It shows your post notifications and call logs, the present tab shows the apps you are using and messages. The future pan shows the upcoming events. Asha 501 Wi-FI equipped and Dual Sim version will be made available soon. Nokia 1200mAh battery claims up to 17 hour talk time and 48 days standby for single SIM and 26 Days for dual SIM. Xperss now and Swipe UI is fast and feels good. The Single SIM version costs $99 [tax not added]. The Dual SIM version will be around $20 more. Users will be disappointed when they compare Nokia Asha 501 screens with Phones like Rex 90 and Galaxy Y Duos which have higher resolution screen and better density. But with every other feature Nokia Stands hard on its place. Samsung Galaxy Y Duos are the best seller Dual slim phone that features Android operating system. It will definitely be my first choice, but if you are going Price specific then Asha 501 has the charm and features to attract lots of customers. On the other hand Samsung Rex 90 has Wi-Fi, Dual sim, better screen and TouchWiz like user interface that has already made it the first choice for people who are looking for a simple Dual sim Phone.